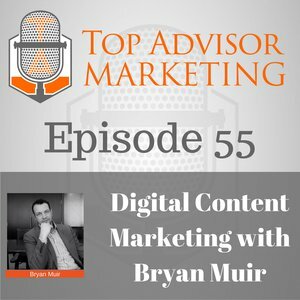 Digital Content Marketing Expert Bryan Muir joins Matt in this latest episode. Bryan is the Head of Sales at AdvisorStream, an automated digital business platform that allows you to deepen client relations and capture new business using the latest credible and engaging content. While Bryan takese listeners through a brief explanation of his software, Matt and him also dive into why financial advisors NEED to understand much more clearly the power of good digital market. With tools like AdvisorStream, it's easier than ever to get the content you need to drive leads and referrals today!